Hello, everyone. We took a few days off from the blog to attend to some family matters. 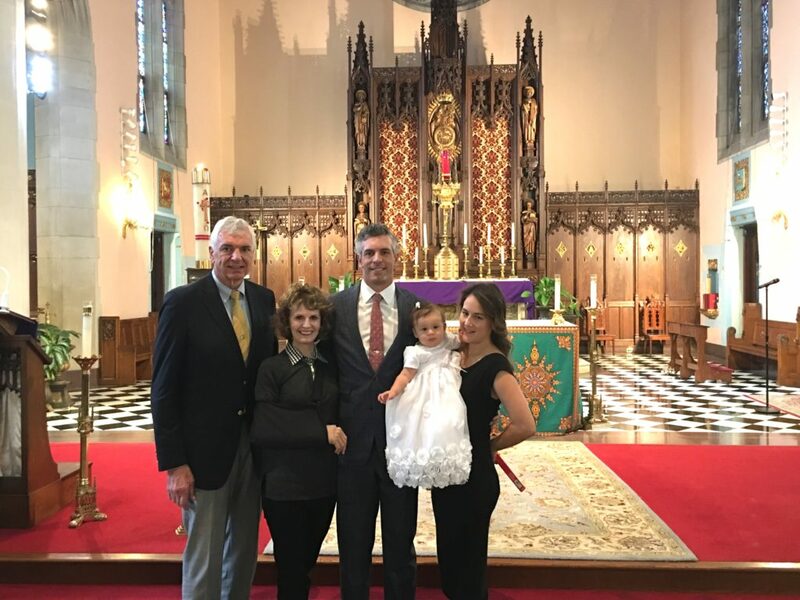 We attended a memorial service for Yankee’s mother in New York City where Yankee grew up, and then we all gathered once again in Washington, DC for Baby Girl’s baptism. Yankee’s mother passed away suddenly last month, and he organized a beautiful memorial in her honor at the Riverside Church. She was a remarkable woman and will be greatly missed. We were in NYC for a few days so we also did some fun activities like seeing Broadway shows. 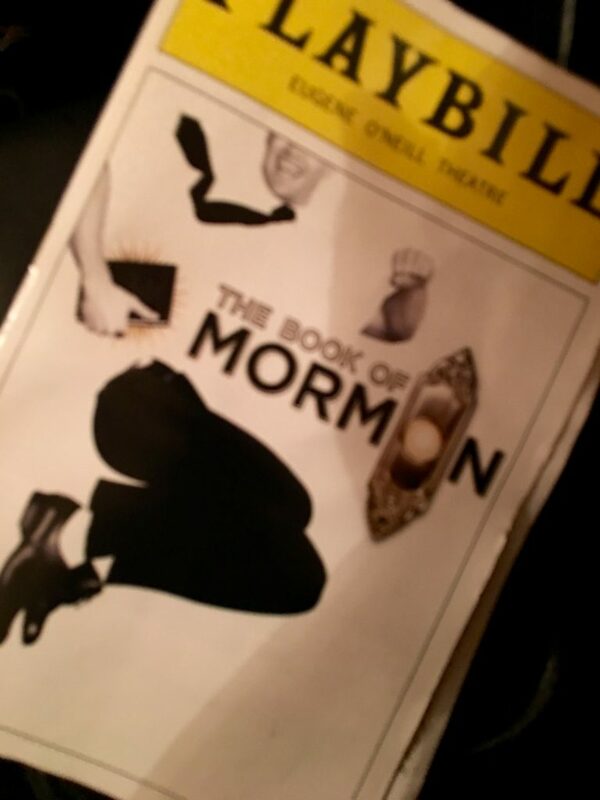 While Jordan and her crew attended Aladdin, Mike and I went to see The Book of Mormon. It was as filthy as we had heard but also hilarious. 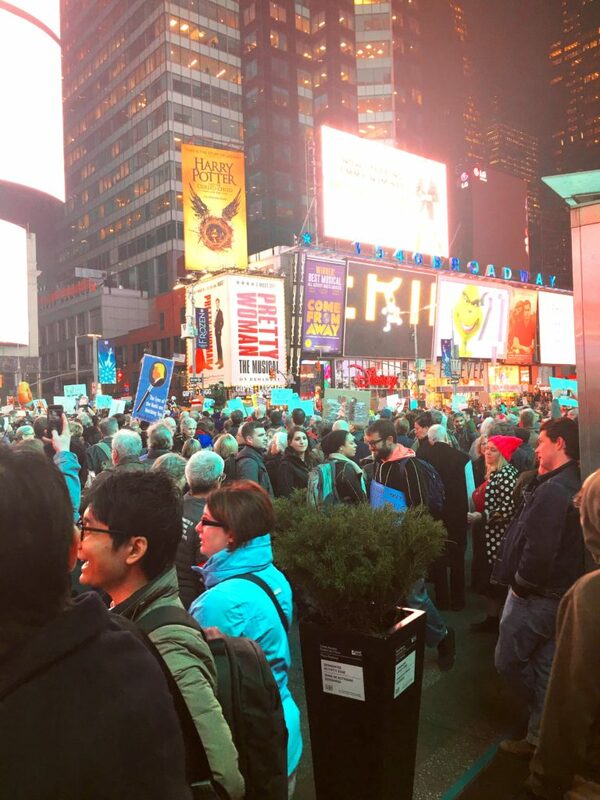 On our walk to the theater from our downtown hotel, we got caught in the middle of a political protest in Times Square. It was just two days after the election, and people were venting their feelings. 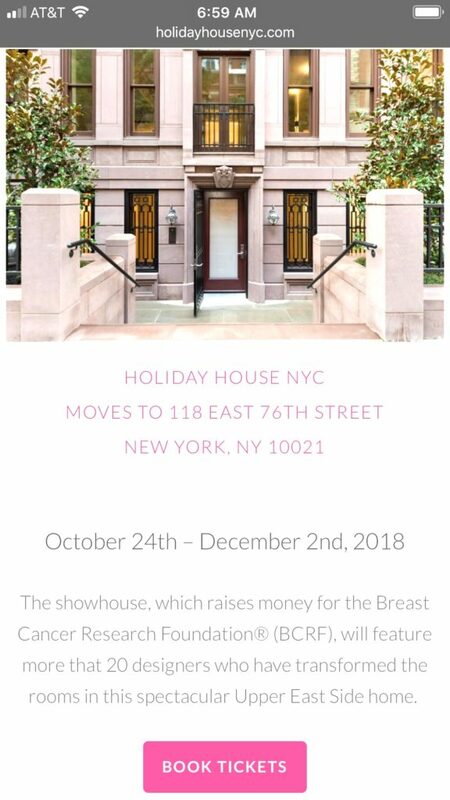 A few years ago, I was in NYC during November and went to the Holiday House. It is an annual fundraiser put on the raise money for breast cancer research. since our timing was good, we decided to go see this year’s version. Mike, Jordan, Little Miss and I caught a subway to the upper east side to go see the house. Little Miss loves pretty things and loves looking at her mom’s decorating magazines, so she was totally in favor of our activity. In the past, each room of the Holiday House was decorated to represent a particular holiday. For instance, there was Super Bowl Sunday, Mother’s Day, Thanksgiving, Winter Solstice, Easter, etc. This year’s Holiday House was held in a five story townhouse plus basement, and none of the rooms had a holiday theme. Though not my style, the rooms were lovely. I took lots of photos and will show them to you soon. The house was for sale for $38,000,000, if you’re interested. 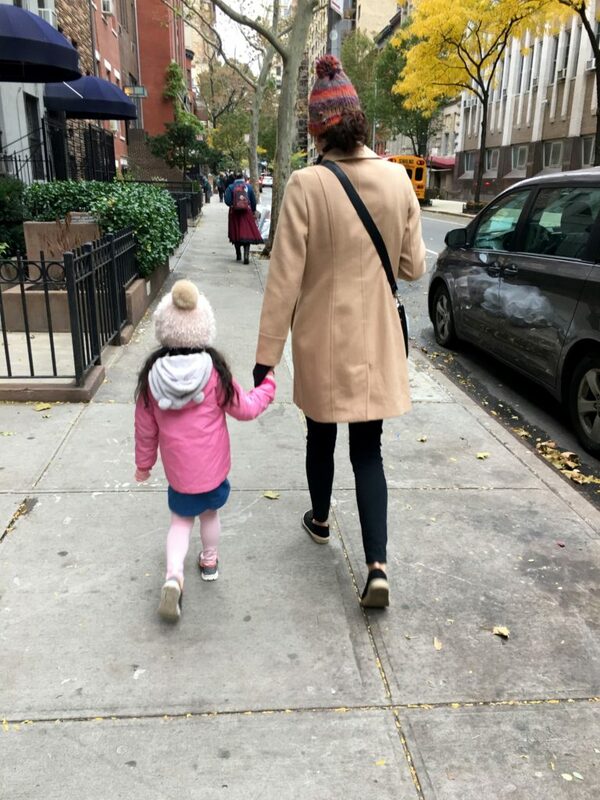 We love walking in NYC – especially the neighborhoods where people live. We were meeting friends for lunch on 87th Street and loved just walking and looking as we headed north. 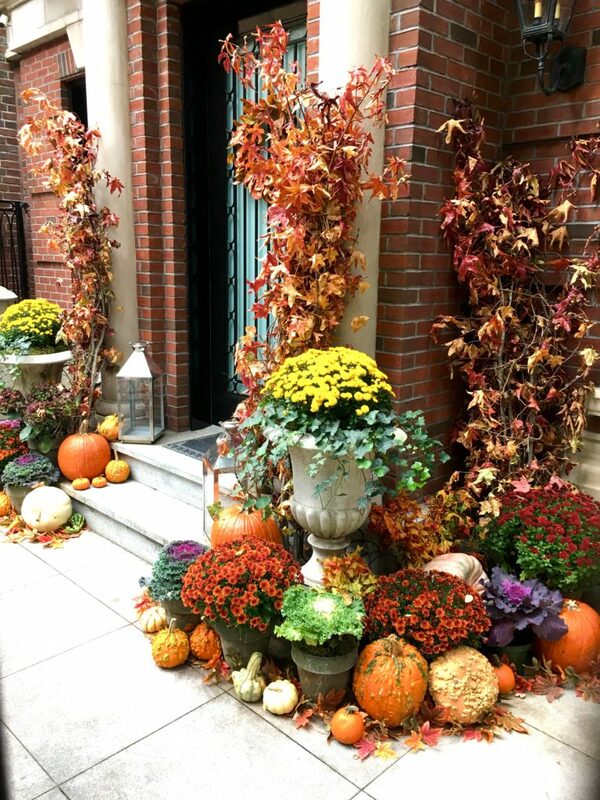 It was still very much fall there, and I loved seeing the beautiful decorations. You all know that Thanksgiving is my favorite holiday, and I’m celebrating it and fall next week. Saturday we took the train to Washington, DC. 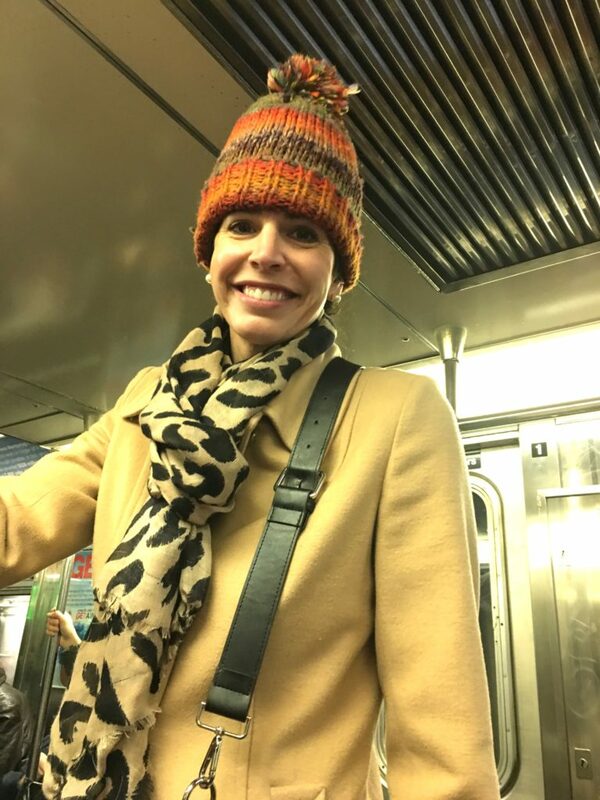 Train travel is my favorite way to get around. The Europeans have it right, and know how to use the train system there to its maximum efficiency. I wish it was more readily available and more efficient here. 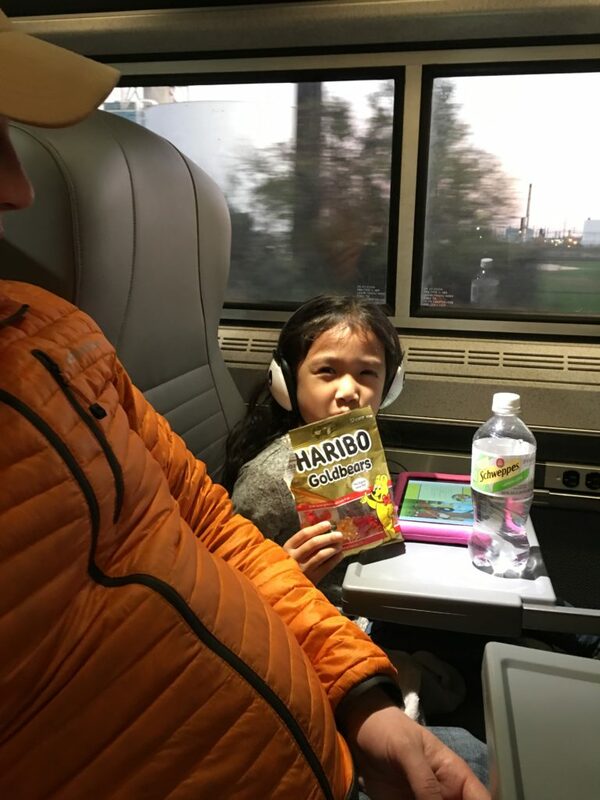 This was Little Miss’s first train ride, and she made a trip to the snack room. 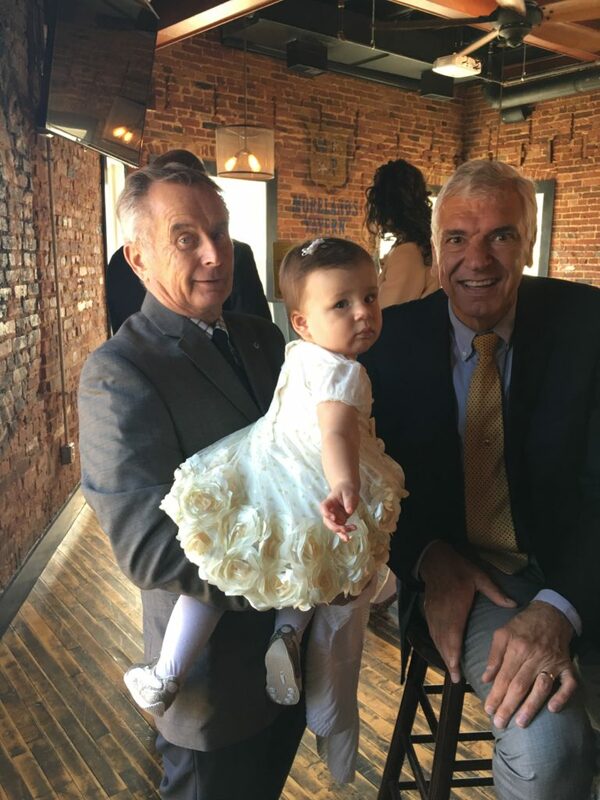 Sunday we worshiped and celebrated Baby Girl’s special day. 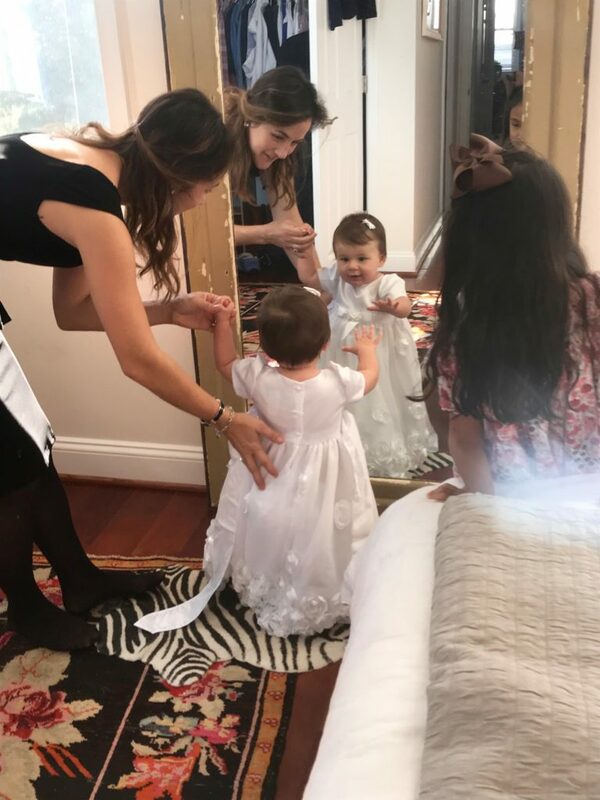 Here she is getting a first look of herself in her beautiful baptism dress. 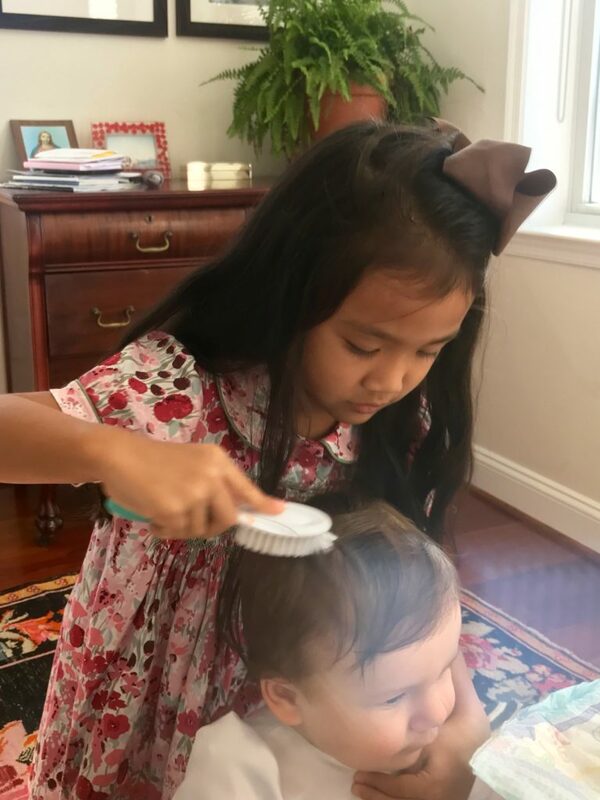 Little Miss takes her “big cousin” duties seriously. Many friends and family members were there. This is our son who ran the marathon that we wrote about two weeks ago with his wife, and Baby Girl. After the church service, we all gathered for brunch at a local restaurant. Baby Girl changed into her party dress. It was a wonderful day for all. Even the grandpas had fun! We all made our flights home safely, and I’m turning my thoughts toward prepping for Thanksgiving. With one arm in a cast, it takes me three times as long to do anything. I need to get started!!! 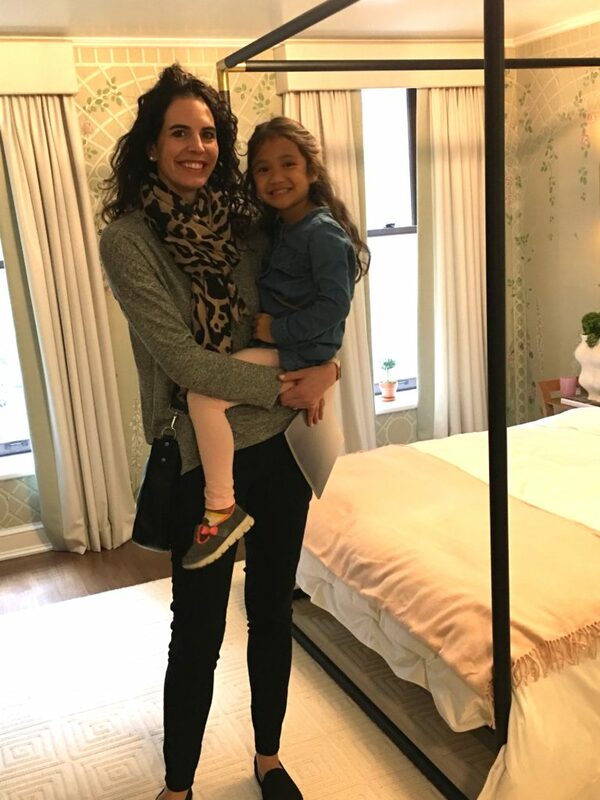 Such a special trip for your family! 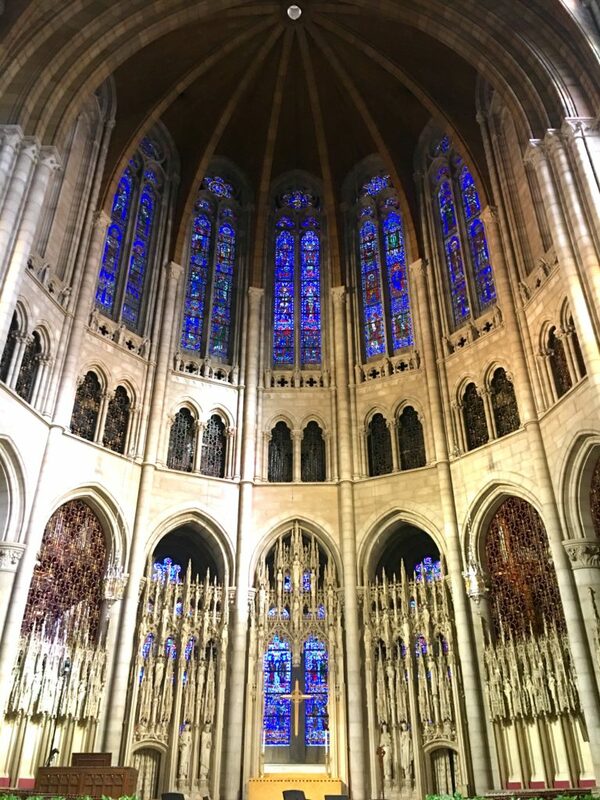 Riverside Church is magnificent. I’m a member of Myers Park United Methodist church here in Charlotte. Two of our former ministers are now on staff at Riverside. I would love to worship there one day. Ren, we can only imagine how beautiful it must be at Christmas. So appreciative of the efforts you are making in typing with the ‘wrong’ hand!! 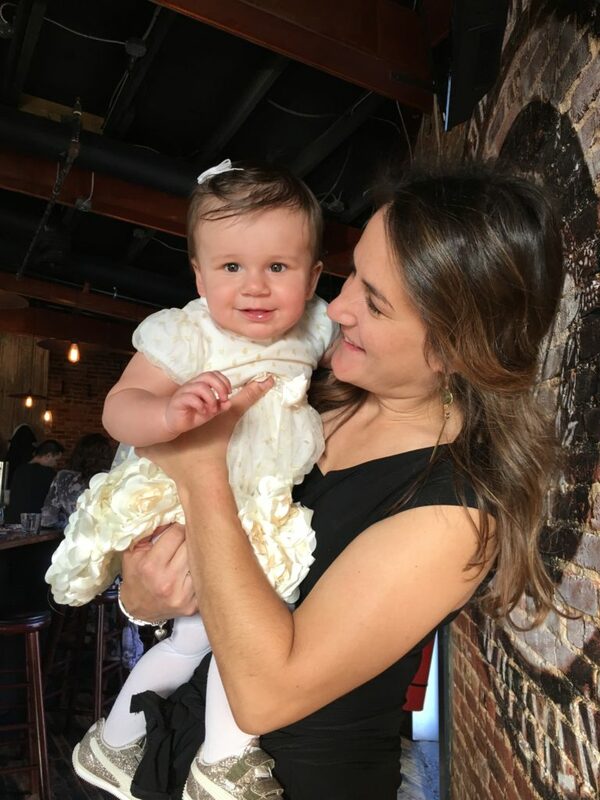 This was a beautiful celebration of your family and your time together. Thanks for sharing! And thanks for showing so many exciting events. So sorry to hear about your cast! I hope you didn’t fall down your new staircase! Deb, thank you. I had surgery on my wrist/thumb. 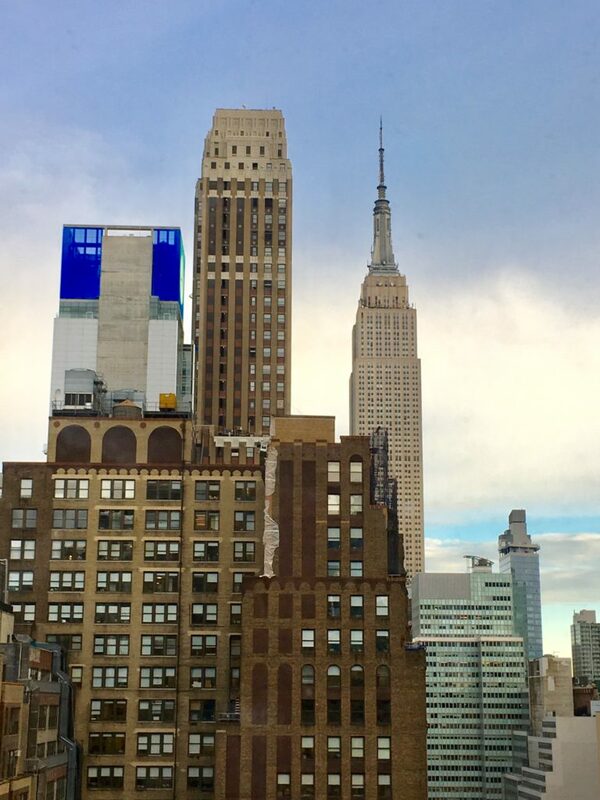 I am so glad that you all had such a nice time while in New York. I am sorry to read about your cast. I hope that you will be better soon!! I have not ever done this, but if you are planing to have visitors for Thanksgiving; perhaps you could purchase one of those meals that is mostly done, and then all you would have to make would be Family favorites. That might make things easier for you! Take Care! I hope that the cast will be off soon!! Sunny, thank you for your concern. Jordan and my daughter in law will help with the meals. Thank goodness! Thank you Donnamae. We wish you the best holiday, too.